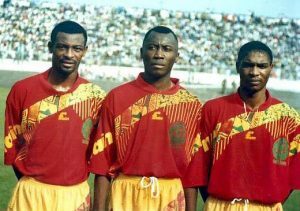 Hundreds of Cameroon football fans in the USA will pay tribute to former football star, Ntoko Roland during a testimonial game to be hosted in Dallas. 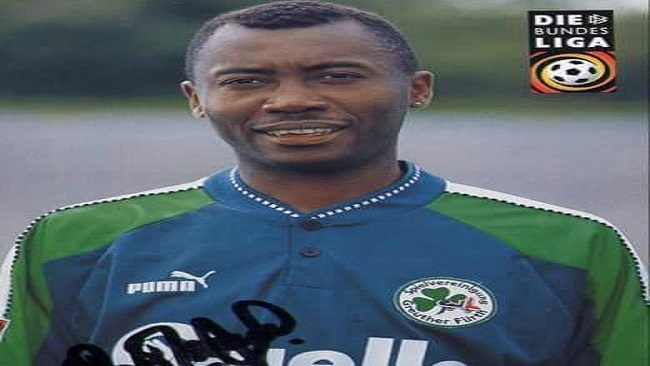 The Cameroonian football hero, a one-time Best Foreign Player of the Year in Slovenia, retired from the beautiful game long ago but will now be honoured on his 50th birthday at the Anderson Bonner Soccer Park (Field 1) in Dallas. Cameroon Concord News sources in the US say football fans are expected to defy the cold weather to attend the star-studded game which will include the veterans of Atlanta. Ntoko Roland will play for both sides to mark the end of a glorious career that took him to Germany, Slovenia and Indonesia. Bundes as he is popularly known was quoted as saying that “There’s a time to start and a time to finish, it was a fulfilling ride from day one.” Ntoko Roland is undoubtedly the most recognised, successful and talented footballer the South West region of Cameroon has ever seen on the field. Eyong Eyong Ebot (Moh-Kukouri) who also moonlights as President Emeritus of the Veterans of Atlanta told Cameroon Concord Sports that it will not be difficult to honour Ntoko Roland by travelling down to Dallas “because he is an icon of the Cameroonian game and we must honour him.” The Ntoko Roland jubilee will hold from the 30th of March to the 1st of April in Dallas, USA. In Slovenia, he played for Novo Mesto, PUBLIKUM Celje and OLYMPIJA LUBIANA from where he had a taste of the EUROPEAN CHAMPIONS LEAGUE. He joined the German side, Darmstadt in 1996 and partnered the controversial Ghanaian football legend, NII LAMPTEY. He was recruited by a second division side Greuther Furth in 1997. Ntoko Roland Njume also had a spell in INDONESIA. He held the captaincy of PWD Kumba and won the football gold medal during the All African games in Egypt 1991 with the junior Lions of Cameroon. 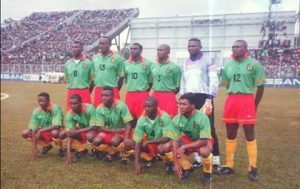 Ntoko gained a place with the senior Indomitable Lions and played alongside Cameroon football greats like the Late Massing Benjamin, Nfede Louis Paul, kunde Emmanuel, Tataw Eta Stephen, Ebwelle Beltin, Onana Jules, Ndip Akem Victor, Bell Joseph Antoine and Omam Biyik. 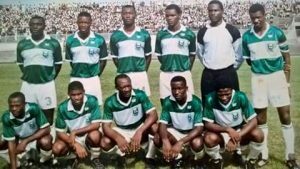 He was voted best foreign player in Slovenia in 1995 and was a member of the Indomitable Lions squad during the Africa Cup of Nations, South Africa 1996. His school mates remember him as the guy who rushed the afternoon session of the GCE exams to meet his pals in a football pitch.